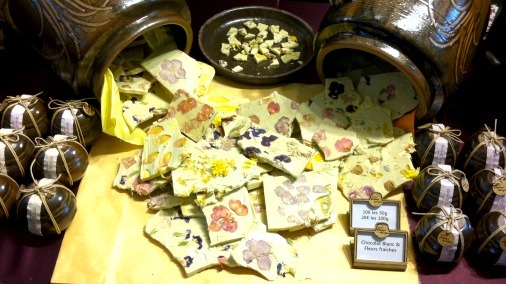 In it's 20th year, the Salon du Chocolat Paris is as spectacular and delicious as ever! Well, especially in the fall, as now is Salon time, and even though I have been going annually for more years than I can put my finger on, I wouldn’t miss it for the world. The Porte de Versailles exhibition halls were once again filled with the great, the good, and the glorious, in the world of chocolate. My sense of anticipation was considerable as soon as my chaussures hit those Paris pavements. 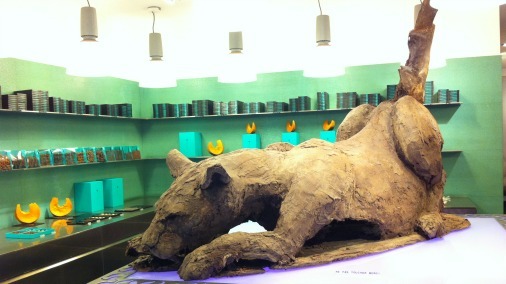 Chocolate shops out-do themselves to celebrate every holiday in style. 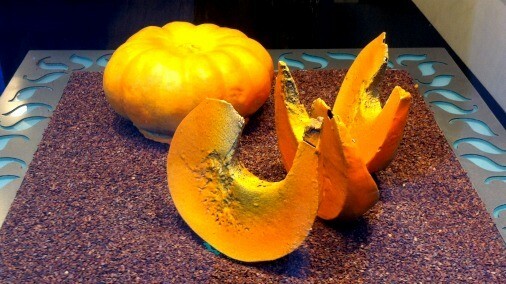 My favourite of the Halloween things were the fabulous chocolate pumpkins in Patrick Roger (see lead photo). Chocolate grand and wild. Big cats at Patrick Roger. M. Roger, a fine artist who just happens to also be a master chocolatier, never fails on this front. And the big cats prowling his boutiques right now are a prime example of his oeuvre. The 20th Anniversary Fashion show. Within the Salon, creativity is no less in evidence. 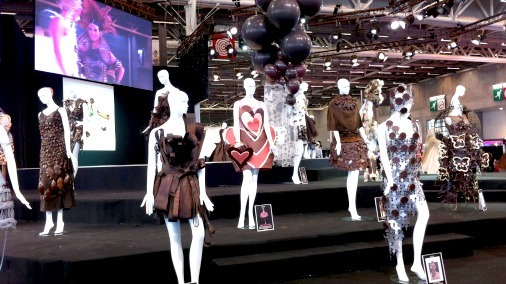 The annual fashion show of chocolate dresses, made by leading chocolatiers and designers, were more splendid and ambitious than ever. Over the years a full 500 of these ephemeral beauties have strutted their stuff in chocolate style. A film showing footage of the gala opening catwalk extravaganza was a nice touch for those of us not lucky enough to make it to the party. 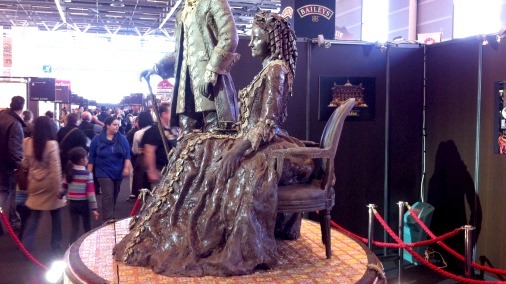 There was extraordinary chocolate sculpture throughout, including many small scale pieces on stands, as well as this full size aristocratic beauty with her squire. 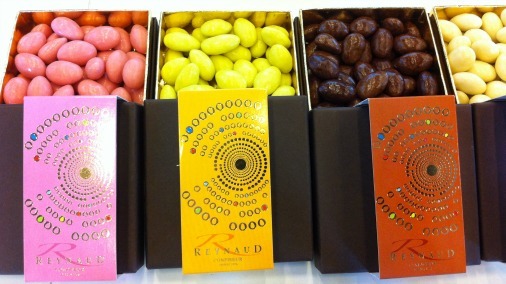 Reynaud make dragees of all sorts and colours. And of course, so very much to eat! 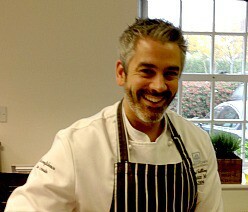 From chocolate things of all descriptions, to a very good showing of great patisserie. Pain D’Epices of glorious spicy sweetness, from Nicolas. 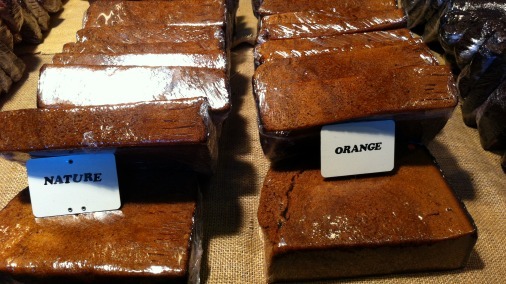 Pain d’épices, the French version of gingerbread, is always worth bringing away with you. It is honey-rich, and has a distinct flavour and moistness that sets it apart. Nicolas makes the best, in my opinion, and the huge globes of cake, which take over two weeks to create, are a very welcome sight. 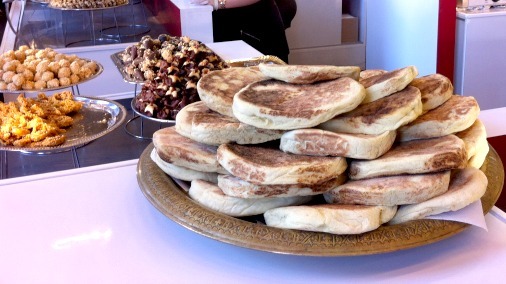 This being Paris, there is some exciting food North Africa around. The pastries and breads at La Gazelle D’Or were particularly tempting. As far as chocolate goes, I try to be sure to seek out and find a few things that are new to me. One such is the fermented chocolate from Korea by HwangHu. Certainly those made with edible flowers were some of the prettiest things I saw, and there were also interesting flavours. 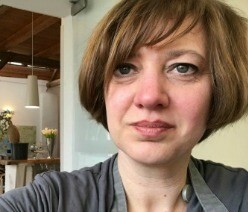 While not refined, I was intrigued by their aims to create a chocolate that does change and mature as it ages. The 12 month old chocolate was certainly more intense in flavour, and had yoghurty flavour notes that I enjoyed. I look forward to tasting more in future. 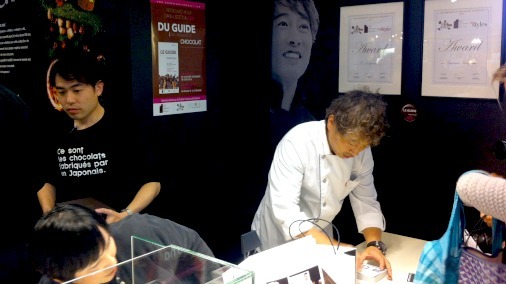 Susumu Koyama helps a customer with her award winning chocolates. Truly glorious chocolate happening at Erithaj and Morin. As always, while a chocolate omnivore, the thing that thrills me most are the pioneering and finest quality chocolate makers. I paid a prolonged visit to the Pacari stand, this time to snap up a good haul of their flavoured bars. A great conversation at Marou led to the discovery that the much-talked-about cashew praline bar they had is the first flavoured bar they have ever released. I managed to snap up 2 of only 200 in circulation. More please Samuel and Vincent! 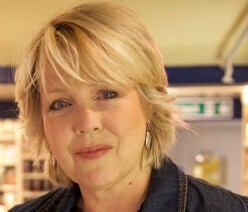 I do plan to bring you detailed articles on some of these exciting chocolate makers in the new year. Marou is a must-discover. So too are Erithaj, also using Vietnamese cacao, but whose processing is finished by expert chocolate maker Franck Morin in his chocolaterie in Donzére. 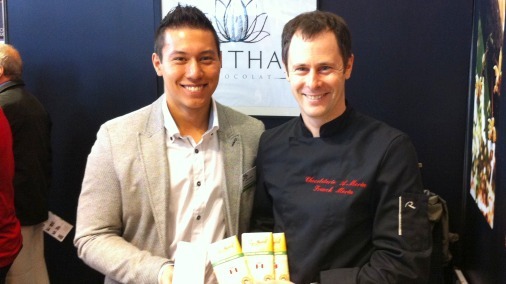 Franck and Arnaud Stengel of Erithaj (above) are both passionate chocolate makers, collaborating in very exciting ways. The Erithaj chocolate is thrilling, complex, and soon to be brought to you in more detail. As will be those chocolate made for A Morin by Franck, equally wonderful, entirely different, and both discoveries well worth making.